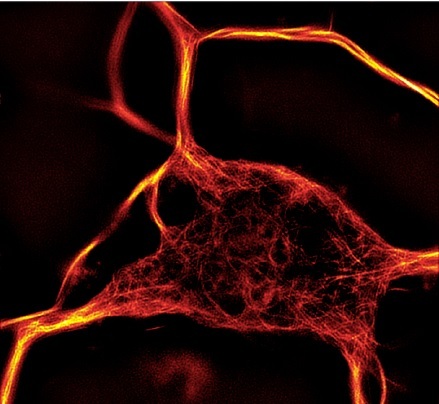 Recently, we were pleased to launch highly innovative tools to stain actin and tubulin in living cells without the need to transfect cells with vectors coding for GFP- or RFP tagged proteins which bind to filamentous cytoskeletal structures. This makes the SiR stains produced by Spirochrome the only tools available on the market which allow direct live cell imaging of actin and tubulin. I introduced you to this technology, as well as the benefits of SiR-actin and SiR-tubulin, in a recent post 2 new Actin and Tubulin live-cell imaging stains – without transfection. Quite a number of cell types have already been successfully stained with SiR dyes, e.g. HeLa cells, Vero cells, BHK cells and a lot more cell lines, as well as primary cells such as HUVECs cells, dermal fibroblasts, and hippocampal neurons. However, it turned out that some cell types, especially cell lines, do not sufficiently take up the dye. In these cases, the addition of Verapamil usually increases the uptake efficiency significantly and results in satisfying staining. The drug Verapamil belongs to a group of calcium channel blockers which are used to treat hypertension, cardiac arrhythmia, angina pectoris and cluster headaches. Moreover, it’s used as preventive medication for migraine. In fact,Verapamil is on the WHO’s list of essential Medicines (most important medications needed in a basic health system). 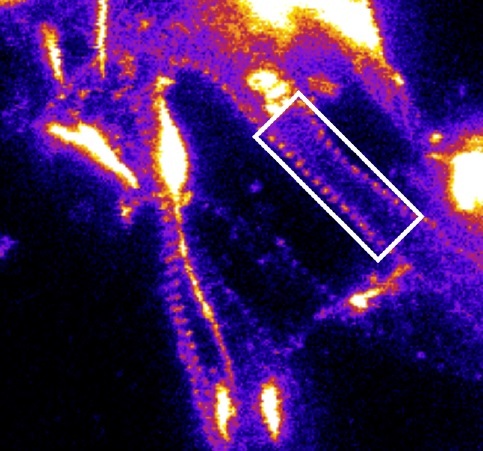 3D SIM microscopy image of labeled microtubules in primary rat cortex neuron body stained with SiR-tubulin. It is known that Verapamil acts as a broad-spectrum efflux-pump inhibitor (1). In four out of the five cell lines that showed low labeling efficiency with SiR dyes, staining was substantially improved by addition of Verapamil, a result indicating that labeling efficiency with SiR probes depends on the expression level of efflux pumps (2). 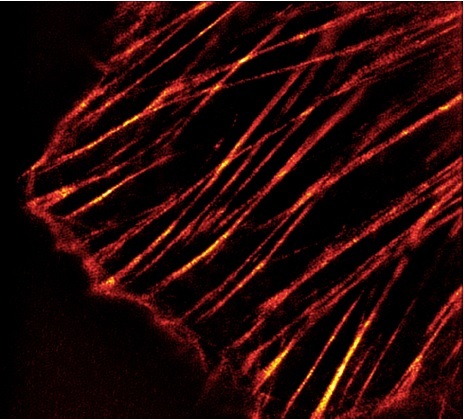 3D SIM microscopy image of labeled actin stress fibers in human primary dermal fibroblasts stained with SiR-actin. 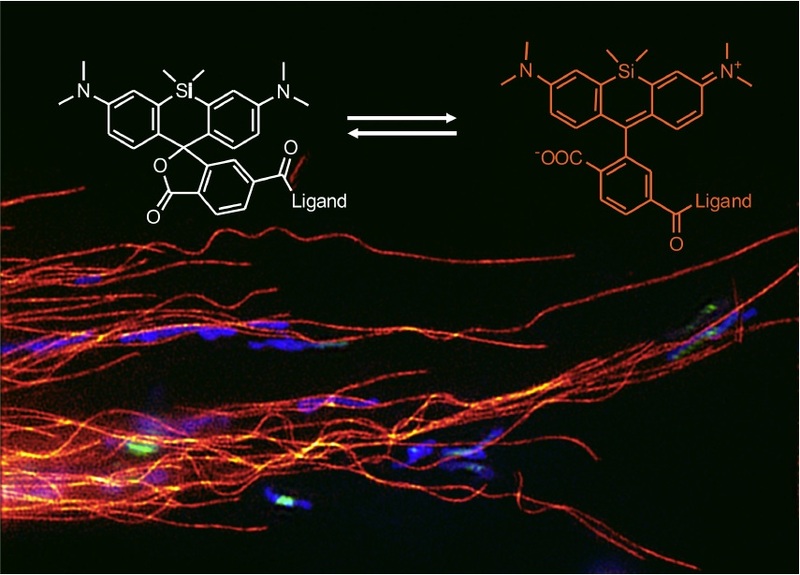 To avoid having to order Verapamil separately if needed, Spirochrome have decided to add a sufficient amount of this compound to every SiR-actin and SiR-tubulin kit (also available as one kit Cytoskeleton kit with SiR-actin and SiR-tubulin). This doesn’t mean that users of the dyes should add Verapamil every time while staining their cells. You should note that Verapamil still effects an efflux-pump in your cells and thus might have an impact on other cellular processes. We would advise you to first test whether Verapamil is needed for efficient staining (control experiments with and without the addition of Verapamil), and then decide whether or not to add the compound in your experiments. Furthermore, it’s best to stick to the Verapamil concentration indicated in the leaflet you’ll find in the kits (1 – 25 µM). Any comments? Don’t hesitate to leave your questions through the form below.